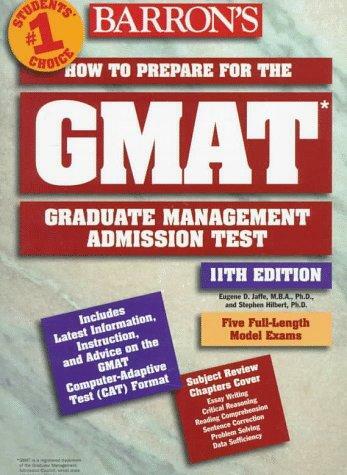 245 1 0 %a How to prepare for the GMAT [Graduate Management Admission Test] / %c Stephen Hilbert, Eugene D. Jaffe. 260 %a Hauppauge, [New York] : %b Barron's, %c 1998. 300 %a X, 579 s. : %b rys., wykr. ; %c 28 cm.